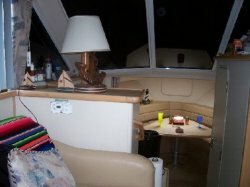 THE CARVER 325 MOTOR YACHT PACKS A LOT OF LIVING SPACE INTO A 32 FOOT BOAT. THIS BOAT IS BUILT WITH THE AFT CABIN CONFIGURATION. 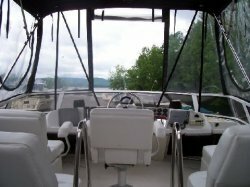 IT'S SLEEK STYLING MAKES IT A REAL EYE CATCHER. 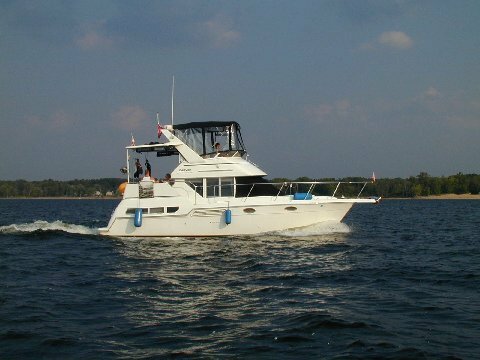 IT COMES POWERED BY THE TWIN 350 MAG MERCUISERS AND IS LOADED WITH EXTRAS LIKE A/C-HEAT, WINDLASS, VHF RADIO, DEPTH FINDER, COMPASS, TRIM TABS, DUAL BATTERIES, AUTOMATIC FIRE SUPPRESSION SYSTEM, GPS, AM/FM CD STEREO, RADAR, DOCKING LIGHTS, AND MORE! TOP SIDE FEATURES A HARD TOP OVER THE AFT DECK WITH CANVS ENCLOSURE AND ON THE BRIDGE, THERE IS A FULL CANVAS ENCLOSURE FITTED AROUND THE RADAR ARCH. 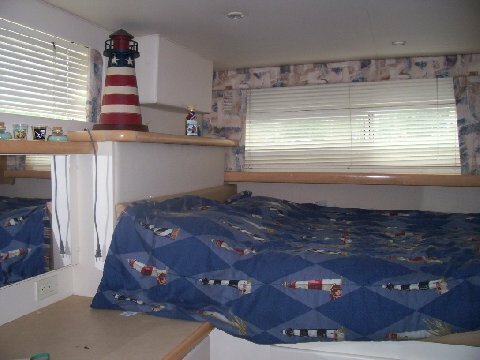 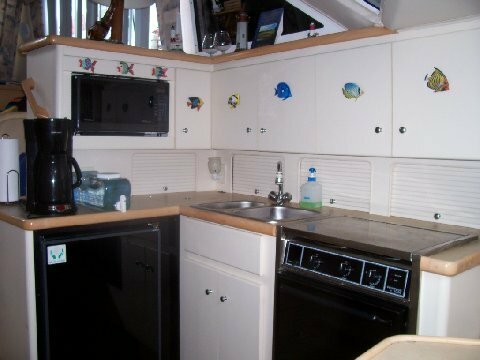 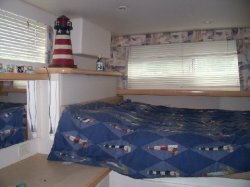 BELOW DECK ARE ALL THE DOCKSIDE AND SHORE POWER AMENITIES YOU WILL NEED, LIKE SINK, STOVE, FRIDGE, MICROWAVE OVEN AND HOT AND COLD WATER. 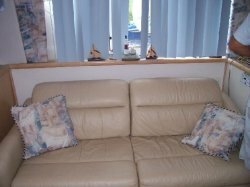 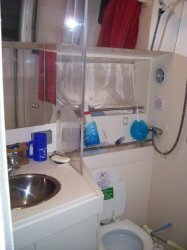 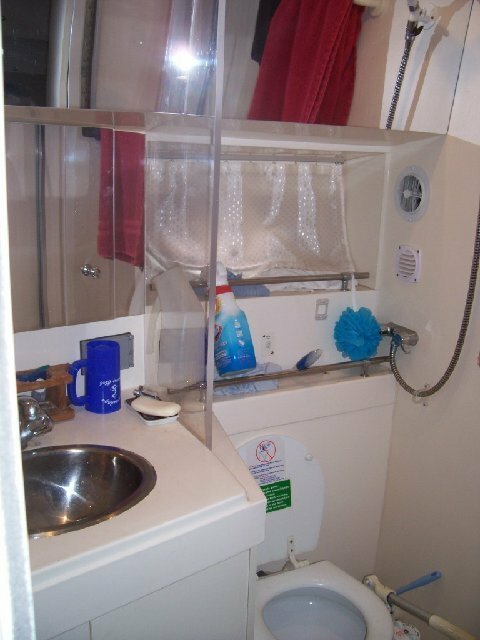 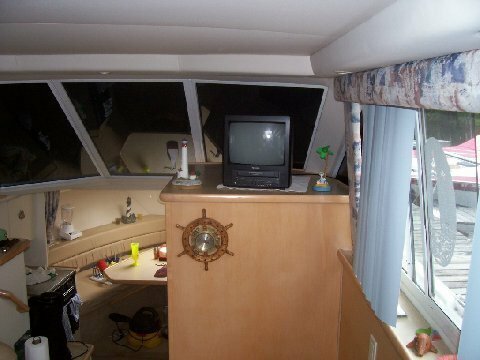 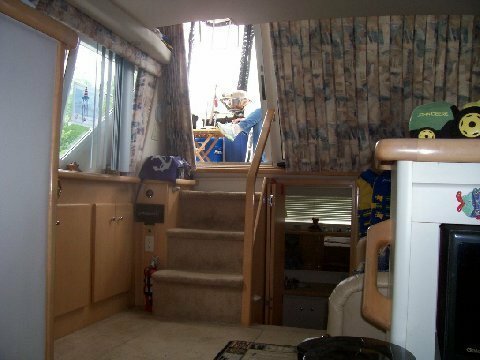 THE HEAD IS FULLY ENCLOSED WITH A HOT AND COLD SHOWER AND A MARINE TOILET. THIS BOAT WILL SLEEP 6 PEOPLE COMFORTABLY WITH TWO FORWARD, TWO AFT AND TWO AT THE DINETTE AREA WHICH CONVERTS TO A SLEEPING BERTH. 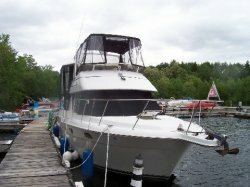 HERE IS YOUR SUMMER HOME ON THE WATER! 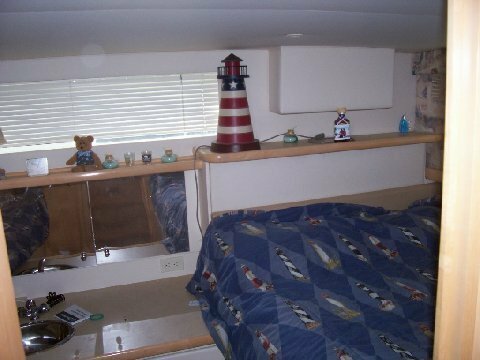 PLEASE CALL TODAY TO FIND OUT MORE ABOUT THIS BOAT.